When: Monday to Friday from 11.00 - 3.00. Unique and individual hand made craft items produced by RagTag students. Perfect for gifts. 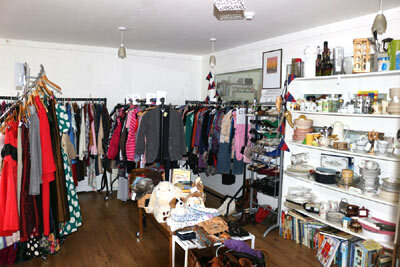 We have a beautiful, varied collection of once-loved clothing, household items, books and CDs. We have a PAT licence for testing, and therefore have electrical goods for sale. There's a vintage collection of quality used clothing. We welcome donations for the charity shop, or for up-cycling. Textiles / clothing are particularly welcome. Please just pop them in at the shop.